Congestion, coughing and runny nose — you know what to expect when these cold symptoms strike. Besides keeping surfaces such as door handles clean and washing your hands regularly, complete these four HVAC tasks to combat wintertime colds in your Charlotte, North Carolina, home. Have you considered how the vent coverings for your home’s ductwork could be contributing to poor indoor air quality in your living spaces? Besides trapping dust, dirty air vent coverings can harbor bacteria, viruses and other indoor air pollutants. 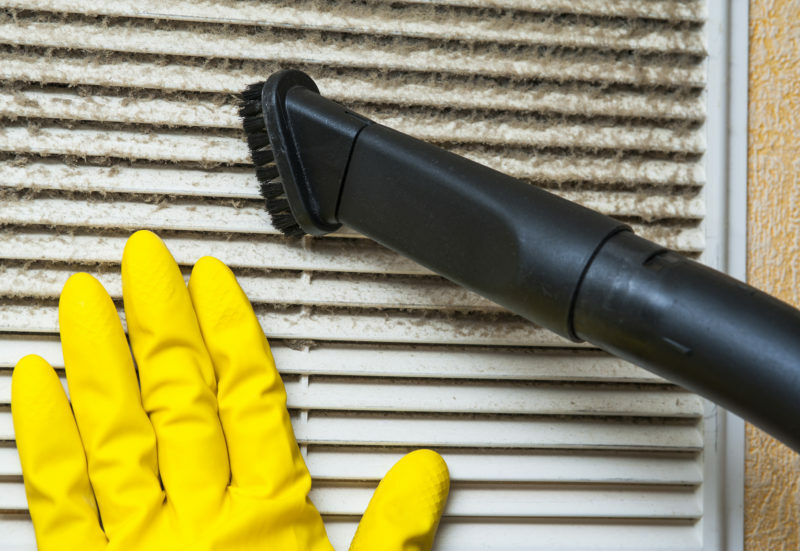 Dedicate time each week to removing dust buildup from the areas around the vent coverings. Simply remove the vents, wipe them with a damp cloth, and screw them back in. Although it may be out of sight, don’t let your HVAC system’s air filter go out of mind. Keep up with regular air filter changes throughout the cold and flu season. Dirty filters can harbor trapped particles that can compromise your home’s indoor air quality. By changing your air filter at least once per month, you’ll promote the flow of clean air through your HVAC system. As a result, you’ll also reduce the risk of costly repairs. If your home has poor indoor air quality already, it can contribute to the spread of cold and flu viruses. Devices such as air cleaners can help you tackle poor indoor air quality and improve your HVAC system’s operating efficiency. As a result, you’ll also lower your energy bills. Extreme dampness and dryness can greatly impact overall humidity levels in your home. When the air is too damp, it can promote the development of biological growth that can make members of your household sick. When the air is too dry, it can irritate nasal passages and contribute to sore throats and coughing. Using dehumidifiers and humidifiers when necessary can help you balance your home’s humidity. Rely on the team at Air Today to keep your HVAC system properly maintained this winter. Call us at 704-893-1230 to schedule an appointment.